Presumptive GOP presidential nominee Donald Trump is doubling down on the thinking that bringing up decades-old allegations of sexual assault by Bill Clinton will somehow bring down Hillary Clinton's campaign for the White House. The Trumpster posted this video to his Instagram account with the caption, "Is Hillary really protecting women?" 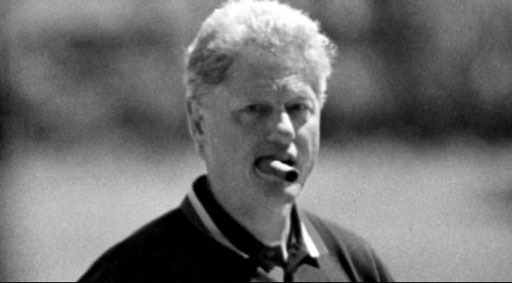 Check the minor key music, the slow fade up of Bill Clinton with a cigar in his mouth, and then the sound of hysterical laughter apparently coming from Hillary. First, Trump portrayed Hillary as "laughing" at the Benghazi attacks, and now he has her "laughing" at alleged sexual assaults? This is really low class stuff, kids.